2006-09-09  In the first match for a long time India looekd like the winner, but the South Africans punished them by equalizing the score to 1:1. With these two points lost, India is almost out of the competition. A real tie-breaker was the match Germany vs. the Netherlands. Even without goals in the first half, the match was always thrilling and saw a spirited German fight after the Dutch 2:0 lead. By equalizing the score to 2:2 Germany won an important point, whereas Holland now really is under pressure. The thrid match saw New Zealand with difficulties against a surprisingly active Japanese team. The final result of 1:0 for New Zealand was lucky for the winner of the qualifier. The last match was a demonstration of hockey dominance, as Australia defeated Argentina with four goals against nil. 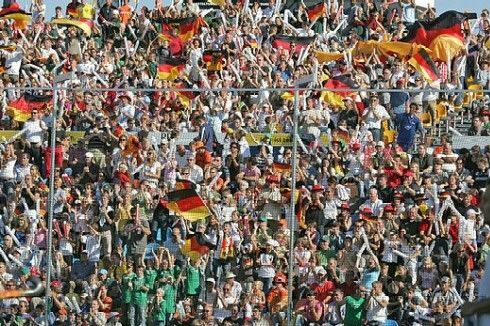 Tomorrow the BDO WorldCup will continue, with the Warsteiner HockeyPark already fully booked.